The teenager from the Ukraine lifts her second trophy of the season on the ITF World Tennis Tour. 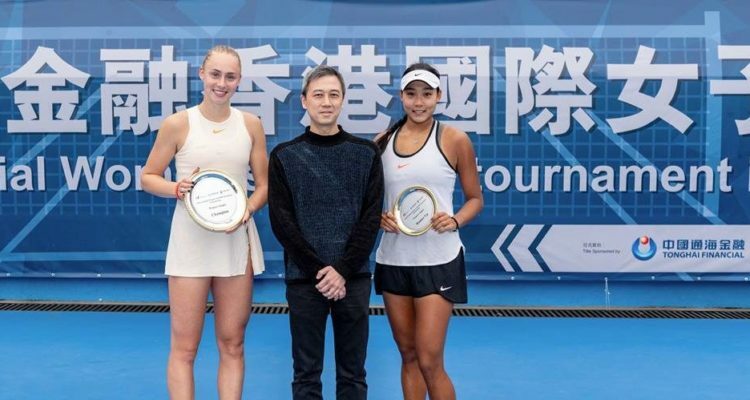 Daria Lopatetska capped off a successful Hong Kong fortnight with another ITF World Tennis Tour title after she beat Ma Shuyue of China, 6-4, 6-3, in Sunday’s China Tonghai Women’s $25,000 final. The 15-year-old from the Ukraine, who also won last week’s event at Victoria Park Tennis Courts, battled through the qualifying and only lost two sets en route to the title match. Against Ma Shuyue, Lopatetska capitalized on five of her eight break point chances to seal victory in one hour and 38 minutes. This entry was posted in ITF World Tennis Tour and tagged Daria Lopatetska, Hong Kong, ITF World Tennis Tour.